Hi everyone! How was your weekend? Mine was chill and relaxing. Nolan turned 5 months old on Sunday. My baby is getting so big—time flies! I posted some pictures we took on my instagram and Facebook. On Sunday evening, hubby and I went to see “The Best Man” movie. It was awesome, funny and emotional – I highly recommend it. As Christmas draws closer, I am getting excited with regards to decorations. 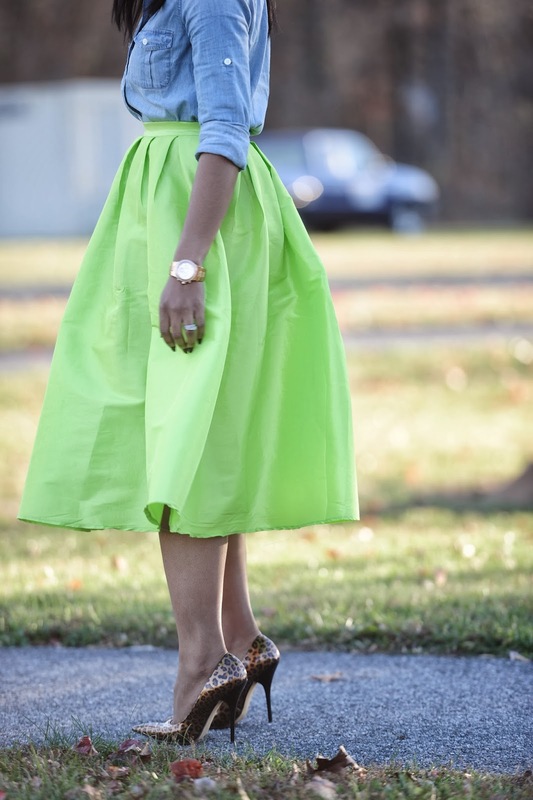 This outfit post continues with my love for full skirts. With the bright neon skirt, just like in my previous post with neon pink skirt here, I chose a chambray shirt to tone down the color. My goal is to keep the shirt as the focus. I completed the look with a leopard clutch and pumps for an edgy appeal. Loving the colors, and that Pump hmm Hmm I want. My "baby" turned 13 on Saturday. You have no idea how fast it really goes by. 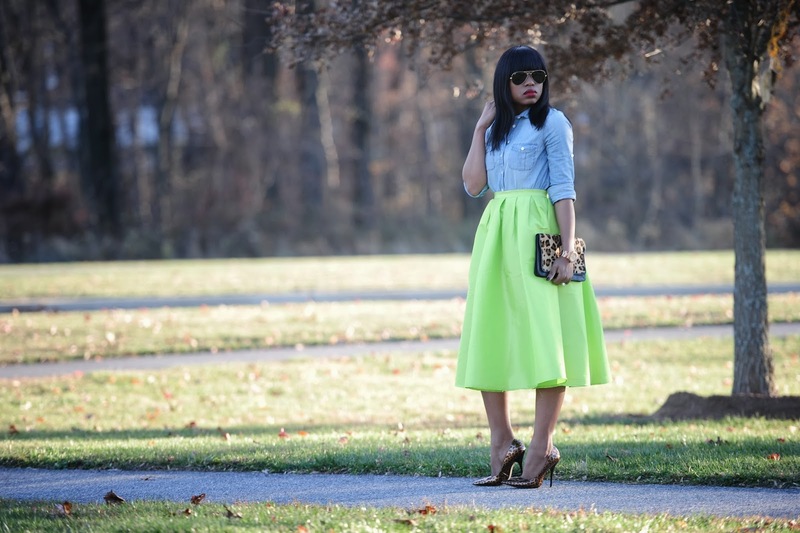 This skirt is so pretty--I love the bright color with the chambray blouse! Love this look!!! The skirt is amazing!!! Can't believe Nolan is almost 5 months old, time does fly! Anyway all I can say about this outfit is gorgeous everything especially that skirt & color!! Beautiful Stella.. You pulled this off wonderfully. 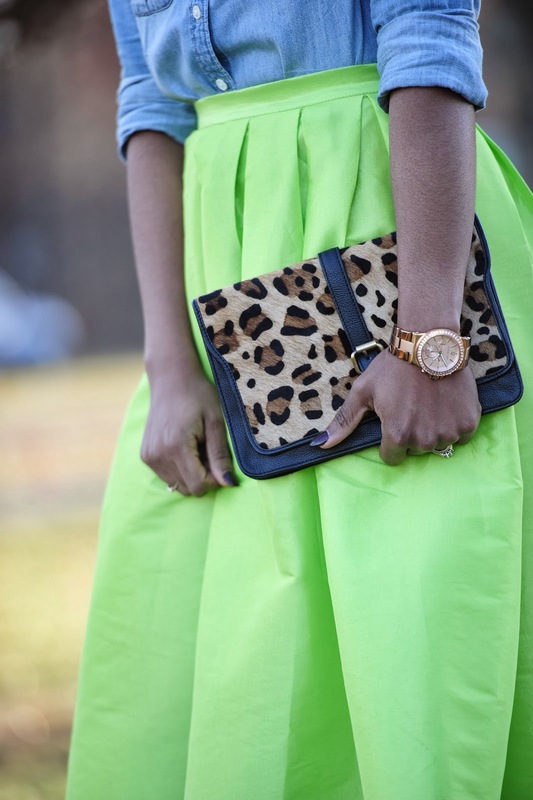 Love love the skirt with the denim top, great inspiration. LOVE IT! i need a full midi skirt for the holiday season.. love the ASOS option you recommended! GORGEOUS! GORGEOUS! GORGEOUS!!! LOVE THE VOLUME AND COLOR OF THE SKIRT. I love everything, you look so lovely as always but I must confess those pumps got me. They are just perfect! Stella you look awesome per usual! Do you wear fullskirts to work? you inspired me to buy one but I can't quite figure out where the best place to where one is. I love midi skirt! think chic!! Can I have that skirt though? and the length is bang on trend. 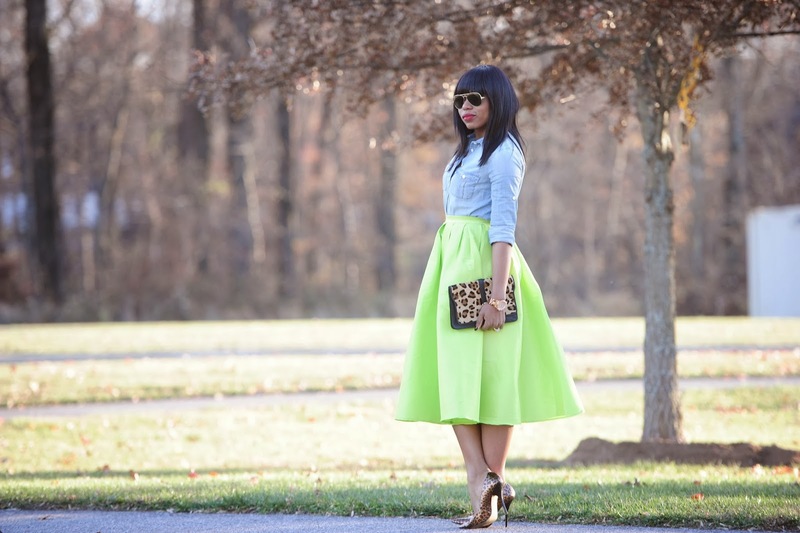 You are officially the queen of full midi skirts o! U rock them so well! i felt in love with the skirt! the shape, the color, pure perfection! love how you styled it! OMG! drooling over that skirt! amazing silhouette AND color! love! !